Hi there! Nice to see you down here. Now that we’ve planted the seed, we’d love to share more on how adding a diffuser to your home can elevate your wellbeing. 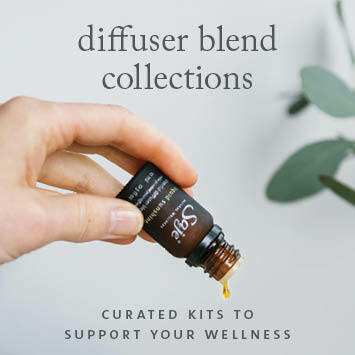 Purifying and humidifying, diffusers clean your air and act as a wellness delivery system — connecting you to the healing power of plants. All of our diffusers are designed to maintain a calm and welcoming atmosphere in your home. One of our best-selling at home diffusers is our aromaBreeze White: an energy-efficient, heat-free and whisper-quiet diffuser with a misting duration of 7-10 hours. At home, try our top-rated diffuser, the AROMA OM. Inspired by the peaceful beauty of the outdoors, this ultrasonic diffuser is the perfect size for bedrooms and living rooms. For an essential oil diffuser you can take with you wherever you go, check out the aromaRoam. Compact and convenient, this portable diffuser plugs directly into your car’s power outlets so you can access wellness anywhere — including on the open road.